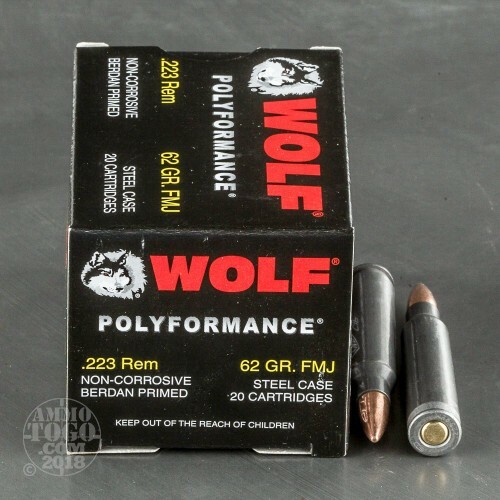 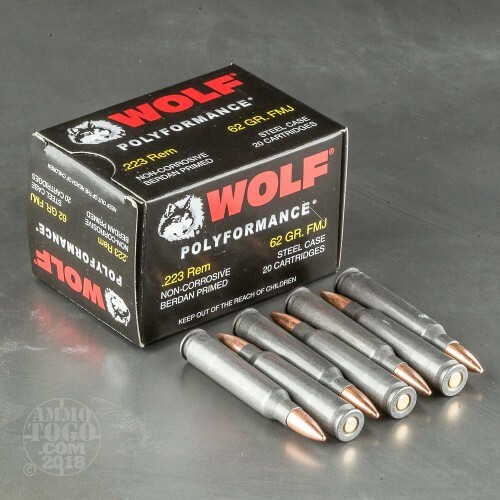 This .223 Remington ammunition from Wolf is an inexpensive, dependable range load for AR-15s and other .223/5.56 NATO rifles. 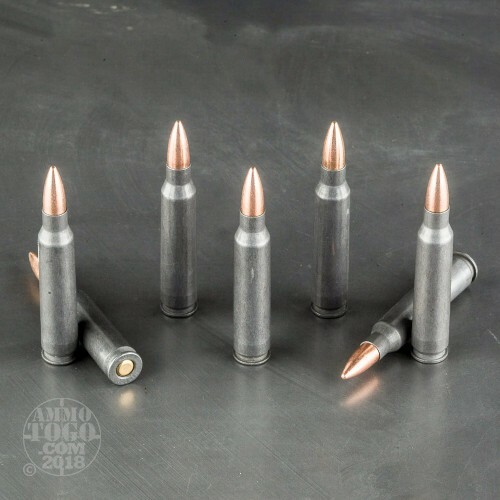 These cartridges fire a heavy 62 grain full metal jacket bullet and deliver external ballistics comparable to those of M855 ball ammo--a significant plus if you want to be able to shoot both without adjusting your optics. Like most Wolf products, they are loaded in Russia using non-corrosive Berdan primers and non-reloadable steel cases. 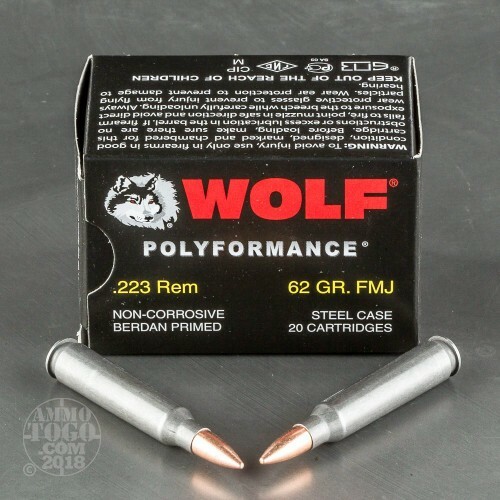 Each box contains 20 cartridges.